First there was fast fashion, now there’s fast food – and we don’t mean tepid burgers and limp fries. We’re talking about the speed of food innovation. Food trends are moving from niche to mainstream in a matter of months. On-trend eaters are moving beyond sriracha and goji berries, looking further afield for the latest taste sensation. Don’t think it’s millennials leading the charge either – food trends mirror travel trends, with all generations expanding their horizons on both the plane and the plate. You may like: What are the key snacking trends in Europe? All this means there is money to be made if restaurants and food retailers can predict what’s be hot in the next twelve months. We’ve taken a look at the tea-leaves to come up with four foodie favourites with an Asian angle we predict will make it big in 2017. As the litany of superfoods grows, attention will switch from ultra-green vegetables and obscure South American berries to the healing power of spices. Turmeric, that golden Asian staple packed full of anti-inflammatory curcumin, is likely to pop up in more and more menu items. It won’t just be eaten either, with turmeric shots and the impressive-sounding ‘Golden Latte’ already appearing on trendy coffee-shop menus. Expect more foods to receive an Asian twist to take advantage of the health benefits turmeric brings. Those on the cutting edge could see a growth in ‘Dosha’ dining, where yoga and Indian street food come together to help people find a new type of balance in their diet, through the ancient medicinal art of Ayurveda. Both vegetarianism and veganism have seen major growth in the last few years, along with a movement to reduce meat consumption for environmental reasons. As a result, restaurants and food manufacturers are looking for ways to present meat-free meals that won’t have committed carnivores running for the nearest steak house. Some see vegetable butchery as the answer, pushing vegetables from the side dish to the main event, with the philosophy of ‘nose to tail’ evolving into ‘root to leaf’. The cauliflower steak may have been on trend in 2016, but Asian food has always had the vegetable option at centre stage, from pakoras and bhajis to spring rolls and steamed buns. That Asian favourite, the humble chickpea, is also likely to come to prominence alongside fungi and beetroot as a protein replacement that all diners can get their teeth into. Whilst some trend watchers are extolling the virtues of chocolate cake for breakfast, the quest for clean eating is likely to continue. Bowl foods will continue to support the trinity of convenience, comfort and taste, with Asian flavours as a staple – think Korean bibimbap, spicy laksa and warming ramen, with the vegan-friendly Buddah bowl smiling on us all. Keep heading East for the poke bowl, a Hawaiian take on deconstructed sushi, with a focus on freshness and flavour. The darling of the LA clean dining scene in 2016, poke bowls are a good bet for Europe in 2017. Despite enduring popularity across the globe (it makes up 60% of the red meat consumed worldwide), goat meat hasn’t quite had the same impact in the west, but that could be about to change. Goat milk, butter and cheese have found a niche on supermarket shelves, serving those who cannot eat mainstream dairy products, but this has created a lot of young goat meat as a by-product. 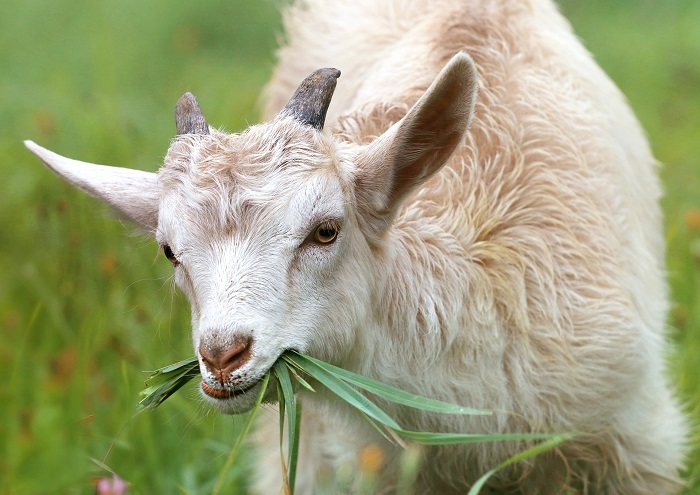 Young goat meat is low in fat and high in protein and iron, ticking the right boxes for health-conscious trend setters, so could 2017 be the year that goat starts to appear on UK menus and plates? The rise of goat meat may dovetail with the rise of ‘migratory meals’, where refugee populations introduce new culinary options to their new homes. Think fragrantly spiced and deeply flavoured dishes with sumac, fenugreek and cardamom, somewhere between the Persian and Indian cuisines that we are more familiar with. There may never have been a better time to be a foodie. No matter what flavours make it big in 2017, you can be sure that there will be new and interesting trends hot on their heels. If you want to be kept abreast of Asian food trends, join the Café Asia mailing list for our monthly food-bev industry round-up.